Ring Rows are an amazing tool for developing pulling strength. Unlike the strict pull up where you support all of your bodyweight, you can easily dictate how much weight you want to support in the ring row. This allows you to increase the amount of pulling volume you can perform. Simply slide your feet forward and the movement becomes more challenging. Vice versa, slide your feet farther back and the movement becomes easier because you are supporting less of your bodyweight. While the ring row is an awesome tool for developing pulling strength, its a movement that is very easily done non-optimally. With our increase in ring rows due to our increased focus on skill development, I wanted to touch on some point of performance for the ring row. 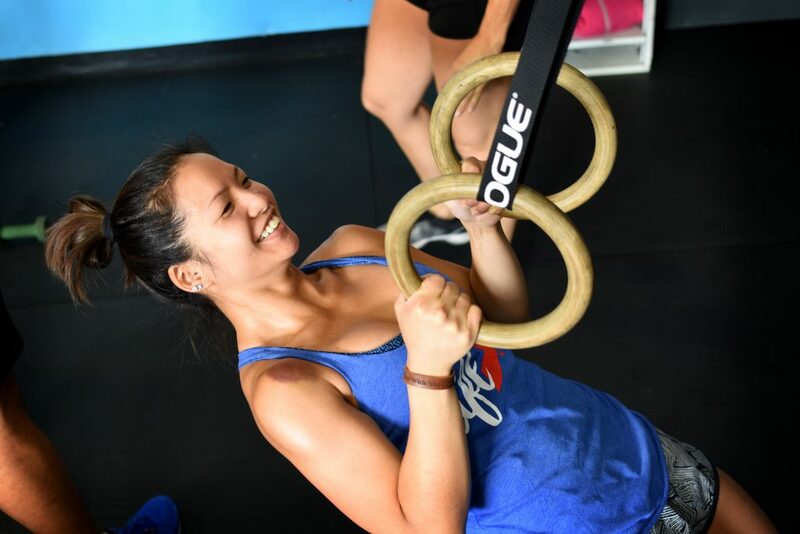 In CrossFit, we typically use the ring row as a substitute for the pull up, since it tends to be easier to do than pull ups. But this frame of mind is what usually causes people to misunderstand the concept of the ring row. While the ring row is easier than the pull up, it is not SIGNIFICANTLY easier than the pull up. Like I said, you’re generally supporting less of your bodyweight, which allows you to accumulate more pulling volume, but you’re still supporting a good portion of your bodyweight. Too often people put their feet way too low on the ground, and a couple reps into the ring row start breaking at the midline, rounding their shoulders, or lose control in the eccentric (downward) portion on the movement. You should find a place on the floor to put your feet where you’re still able to maintain properly midline positioning, are able to keep your shoulders down and back, and are able to control the eccentric portion of the movement. The best way to improve strength in any movement or plane of movement is to first learn how to do the movement with correct technique, and with control. After you have good technique and control, you can then add in speed, not the other way around. I’ve put a video below from Instagram that gives an awesome illustration of what a ring row should look like. Take note of the straight line from head to toe, shoulders being pinned down and back, and the control in the eccentric portion of the movement. Obviously as coaches we will always try to ensure you have the best technique but we cannot watch you every second of class so please take it upon yourself to be mindful of your movements! If you have any questions about your technique on any movements always ask a coach we are more than happy to help! #TechniqueTuesdayMM: Ring Rows . Ring Rows are an important exercise when developing Bodyweight Strength, improving athleticism, and looking good! For beginners, they develop the strength to move onto harder thins like Pull-Ups. For intermediate trainees, they help balance the shoulders and can be modified to develop even more pulling strength. And for advanced trainees, there are some later variations that can help them improve things like their Front Levers! . The key to getting these gains is in the technique, of course, so let’s go over it . Step one. 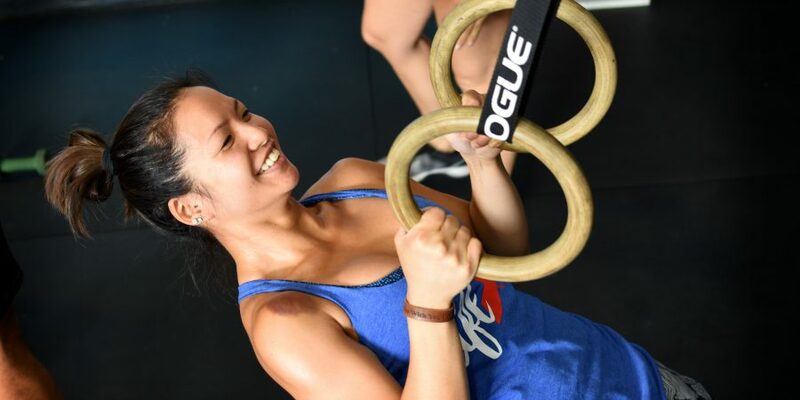 Grab the rings and set your difficulty. You can make the movement EASIER by being closer to vertical. The more perpendicular you are to the ground, the easier the movement is. You can make the movement HARDER by getting more parallel to the ground. The harder version would be with your feet elevated so that you are completely horizontal and parallel to the ground . Step two. Squeeze the shoulder blades back together. This will help get your lats involved the the movement. Make sure the rest of your body is tensed as as well so you’re one rigid piece . Step three. Bring your elbows back to initiate the movement. A lot of people make the mistake of making their rows primarily a curl but what you want to actually do is pretend someone you don’t like is behind you and elbow them in the gut by pulling your elbows back hard. This will get the lats working and improve your gains. Lower down slowly allowing the elbows to come back in front of you . Give your Ring Rows a try with this form and you’ll probably notice some soreness in the lats that you haven’t noticed before! Try it out and hop aboard the Gain Train!